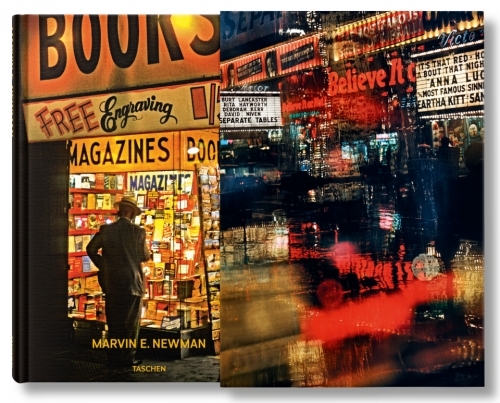 Marvin E. Newman (b.1927) was born and raised in the Bronx and attended Brooklyn College where he studied sculpture and photography with Walter Rosenblum. In 1948, Newman briefly joined the Photo League where he took classes with John Ebstel. He moved to Chicago in 1949 to study at the Institute of Design with Harry Callahan and Aaron Siskind. After obtaining his degree in 1952, Newman moved back to New York City. The following year, his work was included in the Museum of Modern Art’s “Always the Young Stranger” (1953). Newman has authored or coauthored eight books on the subject of photography. His work has appeared in many publications, including Sports Illustrated, Life, Look, Newsweek, and Smithsonian. In 1983, he served as the national president of the American Society of Magazine Photographers. He was the recipient of the Lucia Award for his achievements in sports photography in 2009. Notably, his work was included the celebrated exhibition Radical Camera: New York’s Photo League 1936-1951, which was shown at the Jewish Museum in New York, the Columbus Museum of Art in Ohio, the Contemporary Jewish Museum in San Francisco, and the Norton Museum of Art in West Palm Beach between 2012 and 2013.